Starbucks is one of the most popular coffee shops among teens and adults. 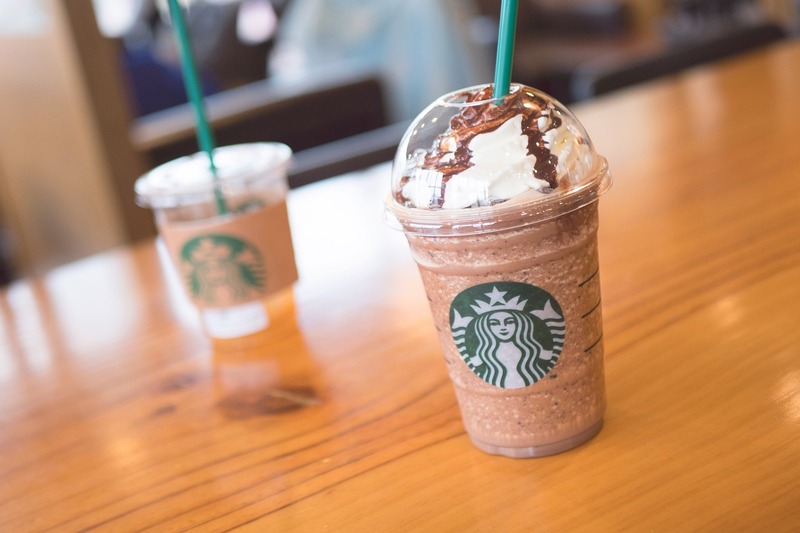 If you need a refreshing drink during the summer time you can get a frappuccino, iced tea, or iced coffee, and during the winter time, you can get a hot chocolate, hot coffee, or hot tea. Starbucks has an average of 500 customers every day and is predicted to grow to 750 customers in 2020. They use around 8,070,428 cups per day and account for 4 billion cups each year. Starbucks was created by Jerry Baldwin, Zev Sigel, and Gordon Bowker. They thought words that started with “st” were powerful, and thought of the name Starbucks. The first Starbucks opened on March 31, 1971, in Seattle, Washington, and only sold roasted whole coffee beans and did not yet brew coffee. Starbucks can make some weird and interesting frappuccinos. Some popular and weird frappuccinos were the witches brew, Christmas tree, crystal ball, zombie, and the unicorn frappuccinos. The most popular one was the unicorn frappuccino and was released through April 19-23, 2017. The reason they discontinued it so early was because so many people were buying it, and the workers stated: “it wasn’t the easiest to make.” They will continue to have weird and interesting drinks in the future. Starbucks has a secret menu that sells drinks that is not on their regular menu. All you have to do is look up Starbucks secret menu and there are over 200 drinks that you probably haven’t heard of. Some drinks off the secret menu are the cookies and cream/oreo frappuccino, rainbow refresher, pink drink, marshmallow dream bar frappuccino, etc. The secret menu was not made by Starbucks, so if you want something off of the secret menu you might have to tell the workers the ingredients. if you get something really simple, for example, the pink drink, you won’t have to tell them the ingredients. If you’re having trouble with what to order then take a look at their secret menu. Not only does Starbucks sell drinks, but they also sell breakfast food, pastries, and desserts. Some breakfast foods are their biscuits, wraps, sous vide egg bites and bagels. Some of their pastries are croissants, scones, danishes, and muffins. Some desserts are their cake pops, cake (coffee cake and lemon cake), cookies, and brownies. If you ever need a coffee or a refreshing drink in the morning, Starbucks is the place to go.